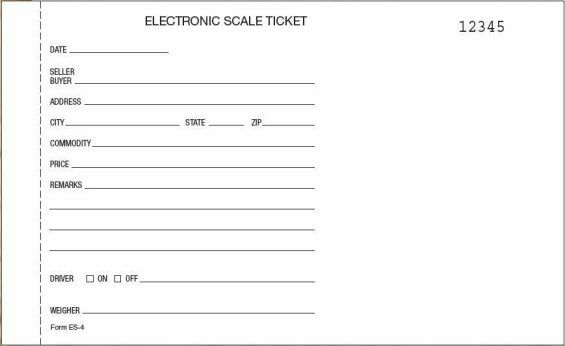 Scale Ticket ES-4 Carbon 5 1/2 x 9"
ES-4 Electronic Scale Ticket, SIZE 5 1/2 x 9 INCHES, 4 Parts, White Bond Papers, White Ledger, Blue One-Time Carbon. 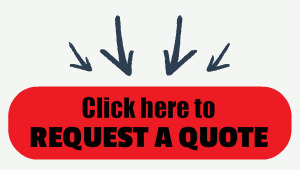 Available in Standard Version or Numbered Version. The weight ticket itself includes lines for date, seller/buyer, address, city, state, zip, commodity, price, remarks, driver on/off, and weigher.